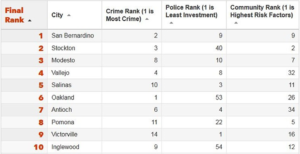 According to LA weekly, San Bernardino is ranked number 1 on the California most dangerous cities list. To an outsider looking through the lens of data captured possibly a year or more ago that might be plausible, but the San Bernardino of today has grown by leaps and bounds since emerging from her 5 year bankruptcy and it continues to do so. The city has been through a tough economic climate and so poverty has come upon so many in our community. The closing of Norton Air Force Base has caused more severe complications than anyone could have imagined. The highest impact has been the effect it has had on our economy. When businesses closed, jobs were lost – people were unable to care for their families, their homes and so the community suffered (it was a domino effect.) Driving through the city, one can easily see its woes. 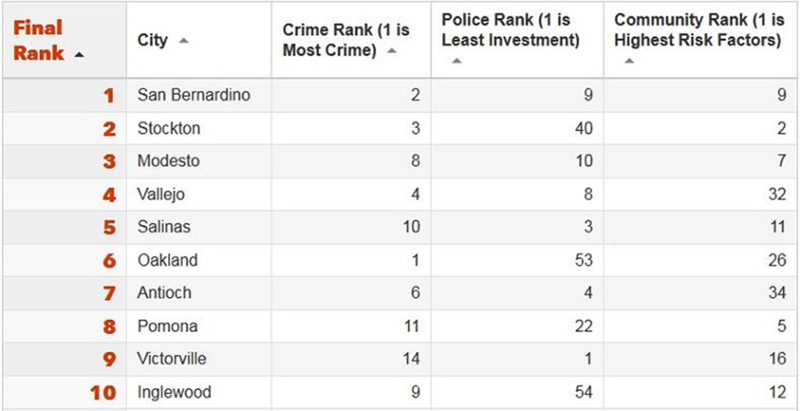 With a decrease in economic viability, crime increases, and the government is left to find solutions. Flash forward to 2017 San Bernardino comes out of bankruptcy, new corporations are emerging to decrease the poverty rate of 33% (citydata.com, 2015) and life is slowly returning to the city. Mayor R. Carey Davis and City Council has enacted a post-bankrupts plan to strategically and categorically address the issues facing San Bernardino citizens. The plan includes reducing by 250-300 million dollars deficit and adding 17 million to our police department budget (at least 35 police officers by June 2018). This not only means more coverage in neighbors but also opens up new jobs for the residents of San Bernardino. The new City Manager and Economic Development Department offers the RENU Program, which encourages, funds and highlights residents for improving their properties throughout the community. Other plans include street improvement and attracting new corporations to the city. With the entrance of new corporations such as Amazon, Stater Brothers and Kohls, jobs are being made available to residents to secure viable incomes and improve the quality of life. This is only the beginning of the strides being made in the city we love, San Bernardino. 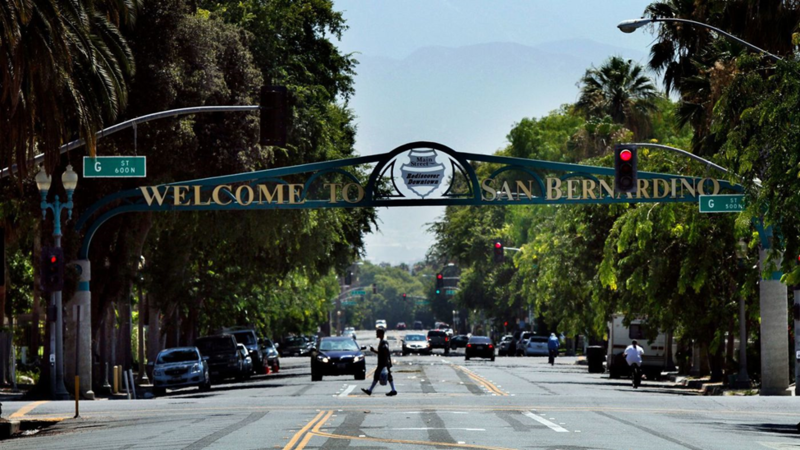 Despite what the media tends to say about our city, San Bernardino is a place full of potential with such a rich history. The media tends to focus on the negatives of our city but here are some positives. The governing body including the City Council, City Manager, the Mayor, Police Department and other city officials are determined grow and achieve progress. AND IT IS IMPROVING.